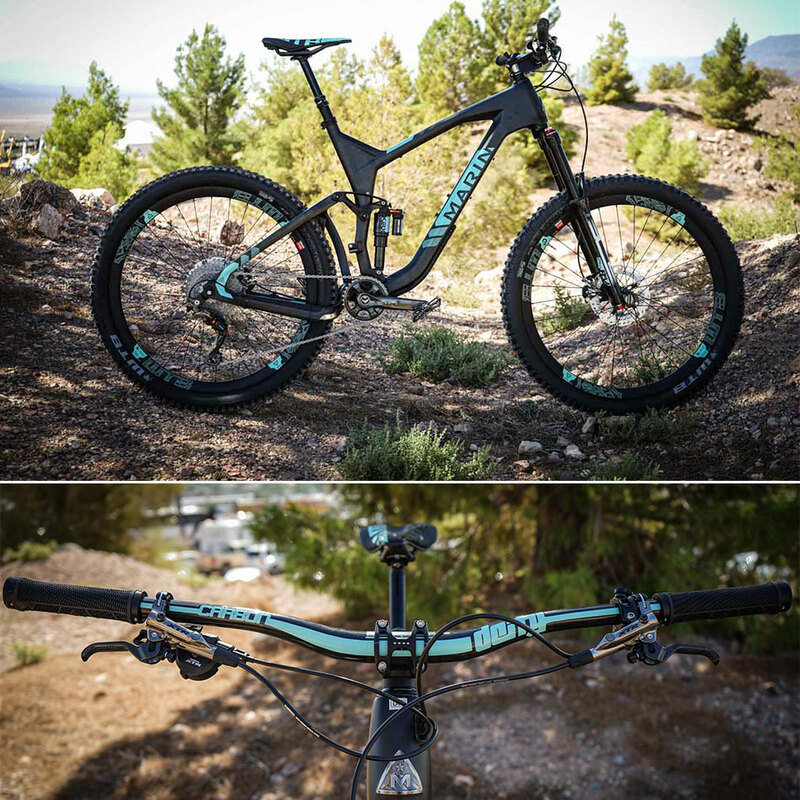 Here are a few things that caught our eye at the Interbike Outdoor Demo 2015 outside of Las Vegas. Stay tuned for more from inside the expo tomorrow. For 2016, Marin Bikes added a pro-level build to three of its full-suspension bikes: the Mount Vision, the Attack Trail and the Rift Zone. Both the Mount Vision and the Attack Trail got supped up with Bos suspension front and rear and a full XTR one-by drivetrain. “As a smaller brand we wanted to do something to stand out,” said Marin’s brand director Chris Holmes, of the somewhat unconventional decision to spec Bos suspension. 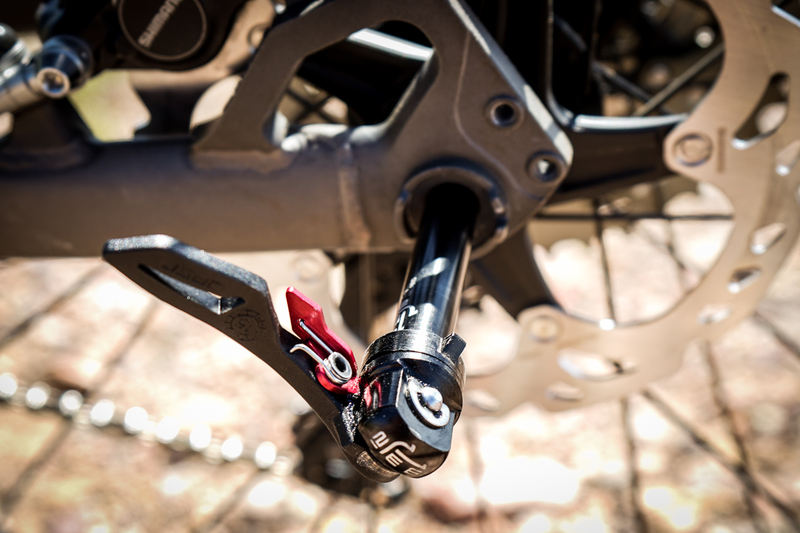 “Bos is so well-respected at the high end.” Marin also streamlined its entire full-suspension offering, adding dropper posts and one-by drivetrains to all the bikes, even base models. To celebrate the storied brands’ 30-year anniversary, Marin put a modern twist on one of its heritage models: the Pine Mountain. The base level steel hardtail retails for $990 and comes with a 4130 chromoly steel frame, 1×10 drivetrain, plus-sized wheels, suspension-ready fork, rack braze-ons and routing for an external dropper. 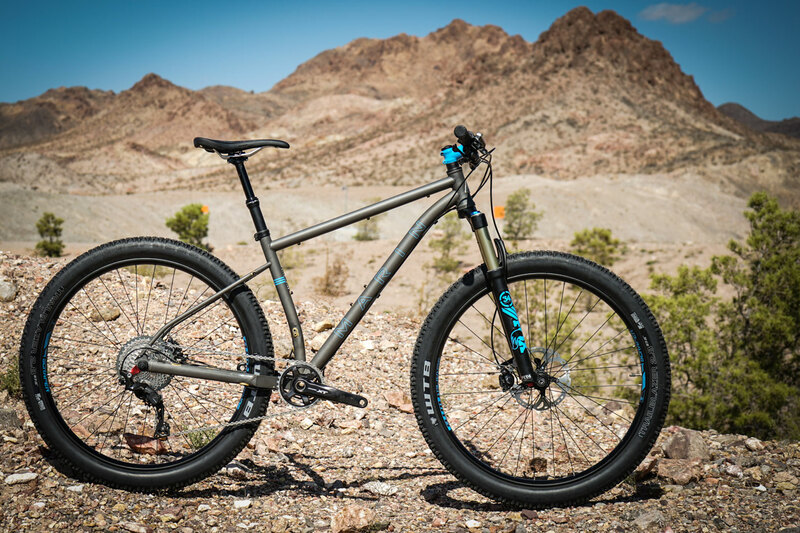 The $2,700 top model (shown below) is built with Columbus steel tubing and has a 1×11 drivetrain, WTB wheels and tires, a KS Lev dropper, Boost 148 rear spacing and the innovative Loc-It 12-3-9 rear through-axle with a QR closure. That was developed by Naild, a side project of Suntour’s Darryl Voss. Marin has a one-year exclusive on the product. The Naild thru axle is quick and easy to open once you get the hang of it. When closed, the red tab pushes in to allow the thru-axle to rotate and then slide out. The Rex helmet is Italian brand Kask’s first entry into the mountain market. 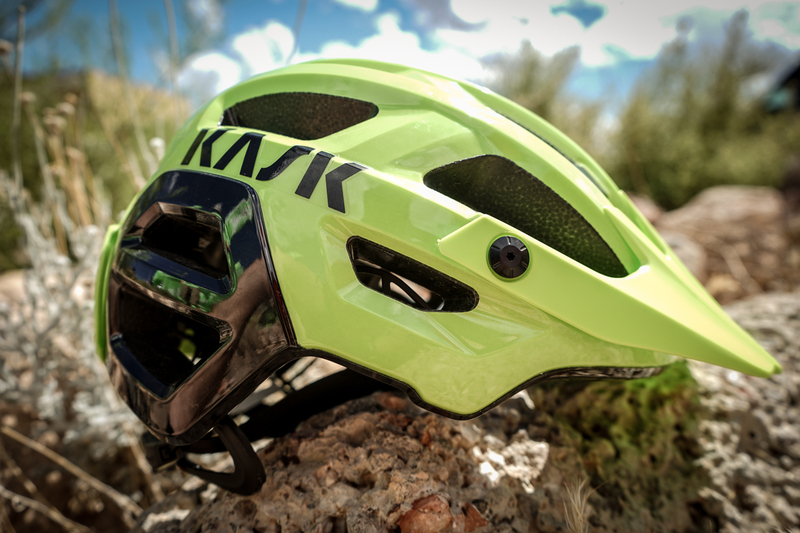 It’s a deep-coverage all-mountain helmet that should mesh well with goggles thanks to a visor with plenty of room and adjustability as well as a clip at the rear of the helmet. Underneath the rectangular cover on top of the Rex is a molded POV camera mount, but Kask is still doing some testing to figure out the safety implications of mounting a camera on top of a helmet. A leather chinstrap adds a hint of Italian class, but seems a bit out of place next to the neon-painted shell. Kask says that the vast majority of riders will be comfortable in the medium-size shell thanks to the internal fit system which allows for a wide range of vertical and lateral adjustment. The Rex will come in lime (shown), light blue, white and red. Medium and large helmets will be available in December for $199. 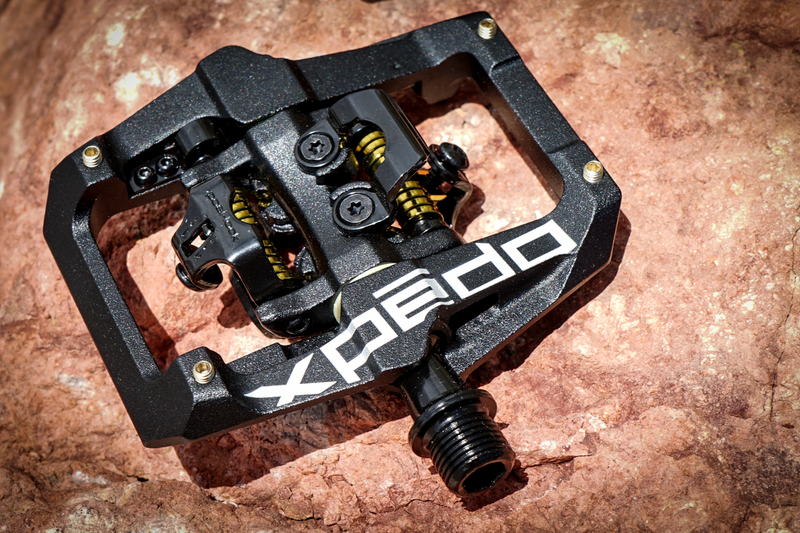 Xpedo’s new GFX pedals are aimed at the downhill market, but look like they’d be a solid choice for all-mountain riders as well. The large 6061-aluminum body hosts four removable and height-adjustable pins on each side and spins on three sealed bearings. The toe-end of the spring mechanism floats upwards to make it easier to connect the cleat with the entry point. GFX pedals will retail for $129 and come in a variety of colors. There’s currently only a chromoly spindle version. 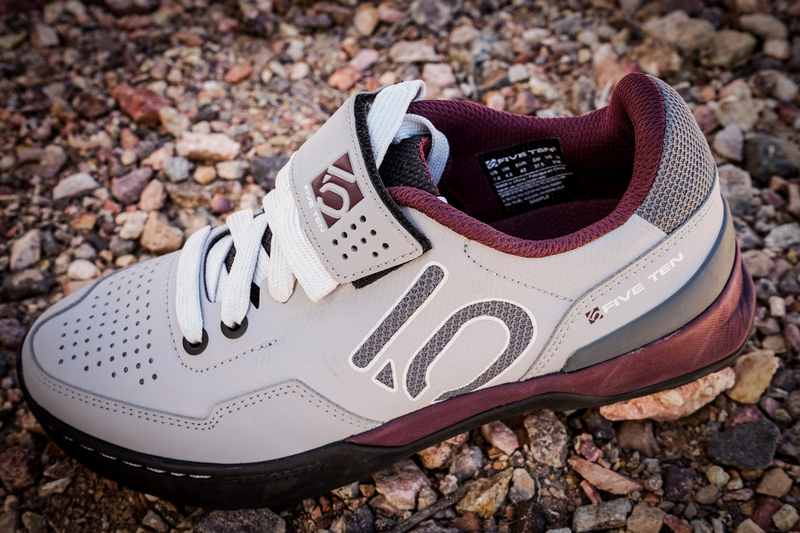 Five Ten has a new version of Sam Hill’s signature shoe coming in January. The updated kicks feature a waterproof midsole and a stitched protective toecap. They’ll retail for $160 starting in January and are flat pedal only, of course. 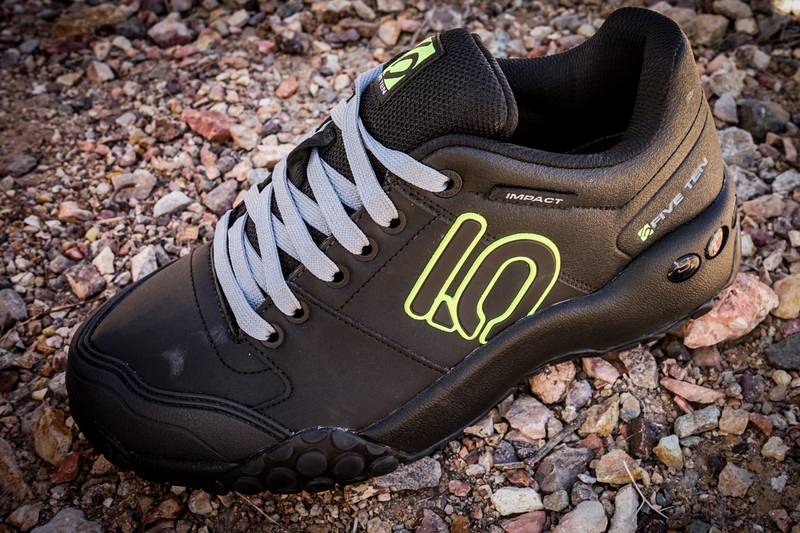 This laced version of Five Ten’s clipless Kestrel shoe is $30 cheaper, has a 15% softer outsole and is more breathable in the toe thanks to perforated holes where the Boa-closure version is enclosed by a weatherproof material. There’s also a women’s version, shown here. The Kestrel lace will be available in March for $150. Lezyne greatly expanded its LED light line this year, with the 1,500-lumen Deca Drive XXL sitting at the top of the bunch. The body is made from CNC-machined aluminum, and its three LEDs are strong enough to illuminate the trail on night rides for an hour, 45 minutes if run at full blast and up to nine hours on economy mode (250 lumens). The light retails for $150. 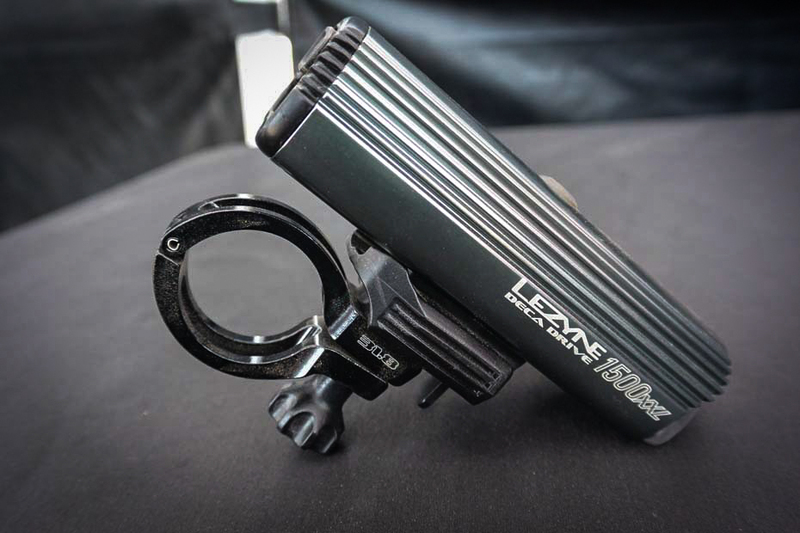 Lezyne also has LED options in 1,200, 900 and 600 options. Mount clamps come only in 25.4- and 31.8-millimeter diameters currently so those who run a 35-mil bar will need to wait for a wider option. 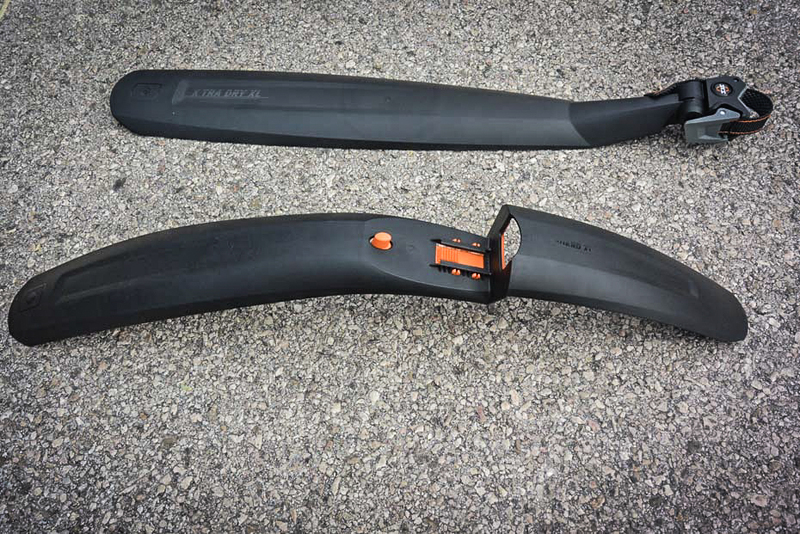 German fender aficionados SKS has answered the call for plus-sized mudguards with its Xtra Dry XL ($20) and Shockguard XL fenders ($25), which are designed to fit tire widths of up to 3 inches. The Xtra Dry XL features a cam-style seatpost mount and measures 18.5 inches long and the Shockguard mounts inside the steerer tube with an easy snap on/off profile. SKS also has a $15 frame-mounted Flapguard to protect front or rear suspension from the mucky stuff, which fits almost any frame and fork size, and the Fatboard fenders made specifically for fat bikes for $55 per set. Shimano is investing significantly into its shoe line and the evidence was at Outdoor Demo. The AM-9 is a new aggressive trail or downhill shoe designed with Shimano athletes Gee and Rachel Atherton. 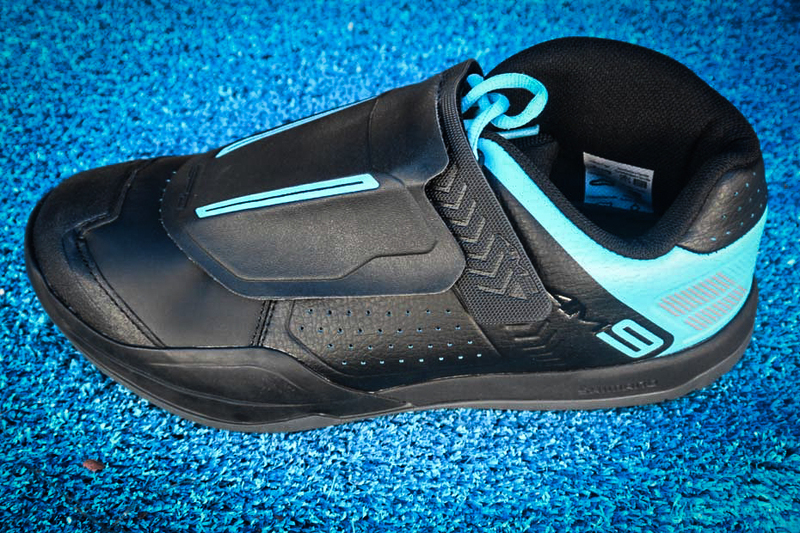 It features a nifty new gripper rubber sole with a channel just below the cleat that’s designed to fit the SPD Trail pedal platform so you can rest your foot on the pedal without clipping in. At 217 grams, the new AM-9 weighs 23 percent less than the AM-45, which it replaces, and costs $140. Also check out the AM-7, a new flat pedal with Vibram sole for $130 and the entry-level AM-5 for $100. 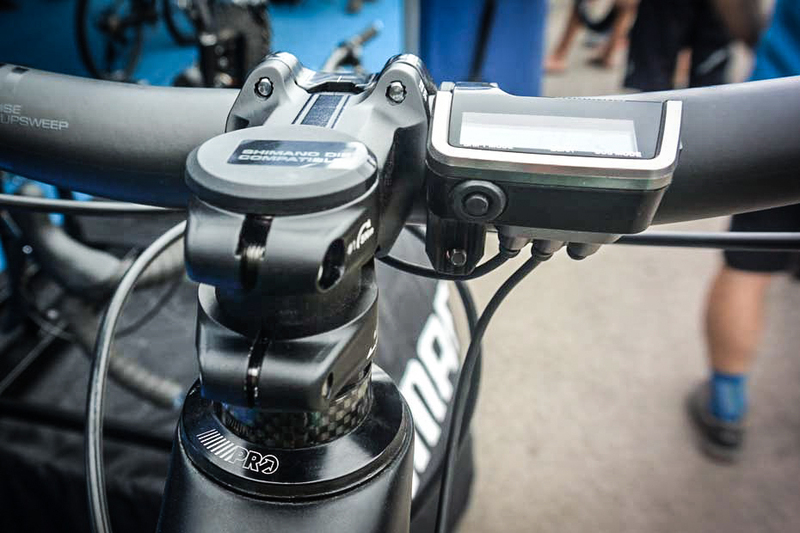 While we were at Shimano, we noticed this cool 800-mil Pro Tharsis bar/stem combo that’s compatible with the XTR Di2 drivetrain. It allows for full internal wire routing for the electronic shifting system. The stem eliminates the need for a star nut, to free up space for wire routing and battery placement inside the steerer. The bar has E-tube wire entry points and internal wire guides to keep the shifting cables under the bar. The carbon bar a 20-millimeters rise with a 9-degree backsweep and 4-degree upsweep.